What better way to express yourself than this fabulous peace bracelet? 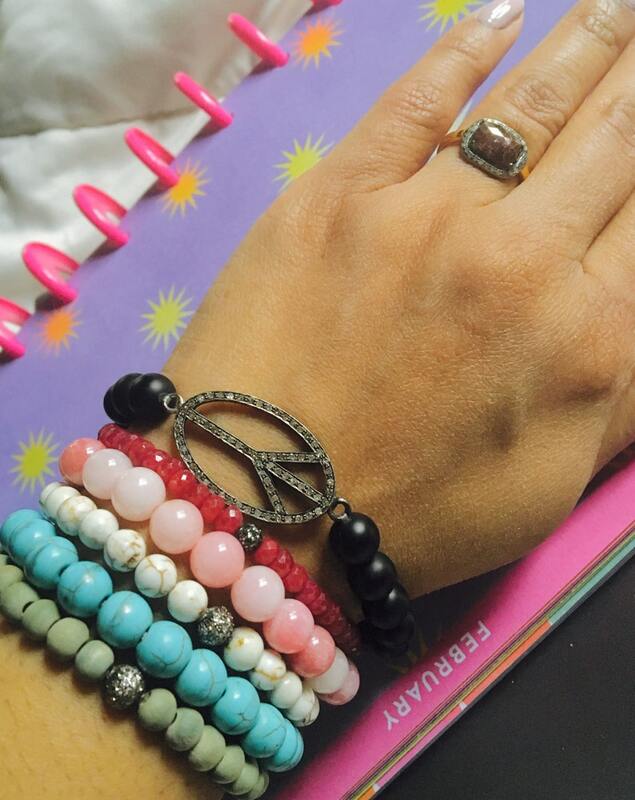 One size fits all stretch bracelet features a stunning natural diamond pave peace sign. It has a good size- Just over 1" tall and 3/4" wide framed in matte black onyx 8mm beads. About 1/2 carat of shimmering champagne diamonds I2 - tinted brown. Looks great alone or stacked with my other custom bead and diamond bracelets!